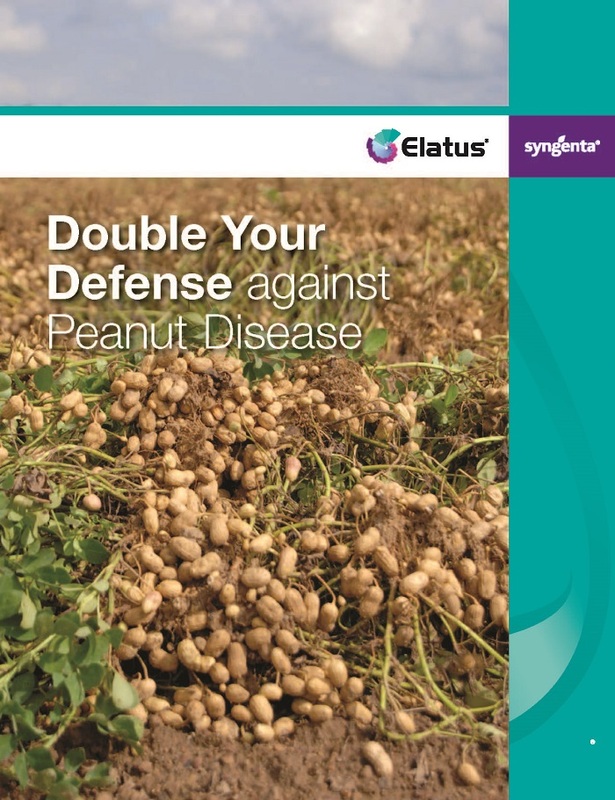 For peanut and potato growers looking to improve disease control, maximize yield potential and protect quality, Elatus® fungicide is a robust, long-lasting product. 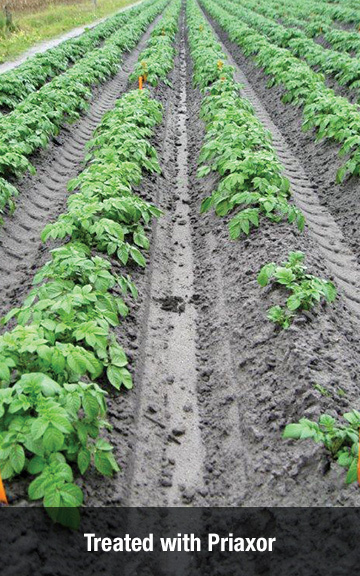 With the power of two active ingredients, Solatenol® fungicide and azoxystrobin, Elatus improves residual disease control while providing flexible use rates and application timing to suit each grower’s individual disease management plan. 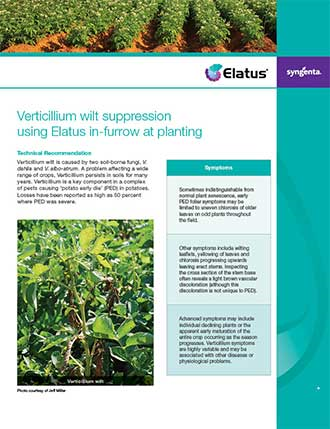 In potatoes, the application of Elatus in-furrow at planting for the control of Rhizoctonia, black dot and silver scurf has been shown to suppress Verticillium levels. 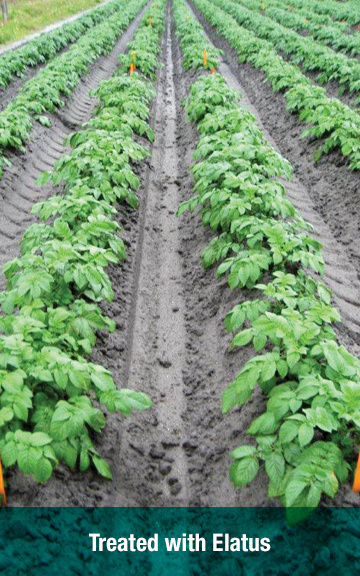 Use as a management tool in combination with resistant potato varieties, fertility and irrigation management, crop rotation and fumigation for best results. 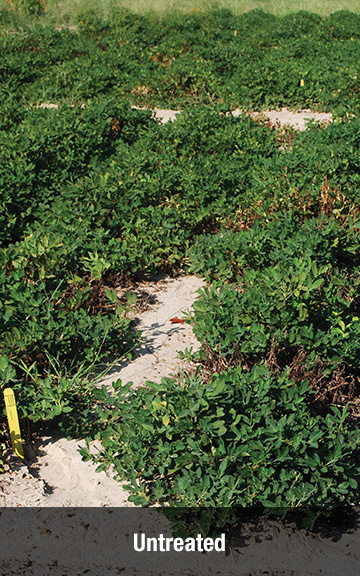 In peanuts, Elatus takes foliar and soilborne disease control to new levels, enabling growers to maximize yield potential and stop diseases such as Southern stem rot (white mold), early leaf spot and late leaf spot in their tracks. 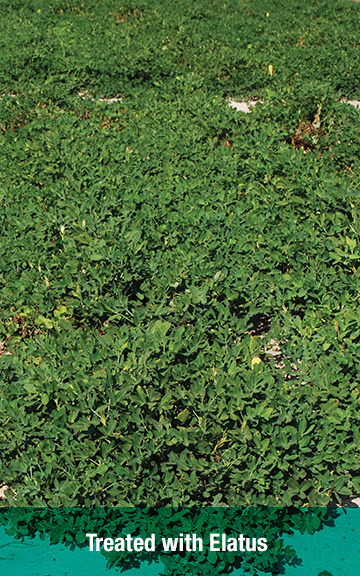 Elatus fungicide protects peanut and potato yield and quality from the start. 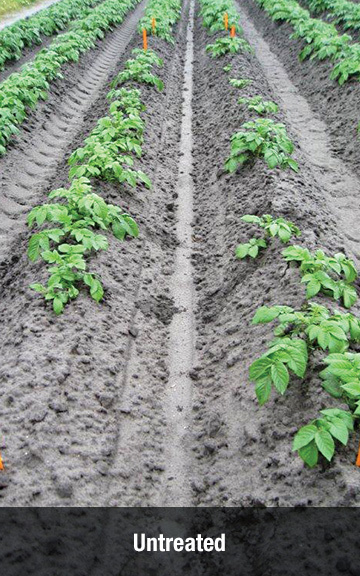 With excellent rainfastness, demonstrated crop safety and two robust chemistries, Elatus helps growers double their defense against foliar and soilborne diseases. "I began using Elatus fungicide in 2016, and it held its own very well against white mold. My peanut yields have been good and consistent. Elatus fungicide is worth using"
Grower, Davis and Sons Inc.
"We historically have had high white mold pressure, but after using Elatus fungicide, we did not have any white mold. Elatus has a great formulation and is easy to work with—I’d recommend that other growers give it a shot." With reliable residual control and flexible application timing, Elatus gives growers the ability to customize their spray program to suit their local disease environment and farm management preferences. Growers have application flexibility from early emergence to traditional soilborne timing for control of Southern stem rot (white mold), early leaf spot and late leaf spot. Source: Brenneman, University of Georgia, 2011. Apply in-furrow at planting for control of Rhizoctonia, black dot and silver scurf and suppression of Verticillium levels. Note: All plots were inoculated with Rhizoctonia at planting. Photos taken 47 days after planting. 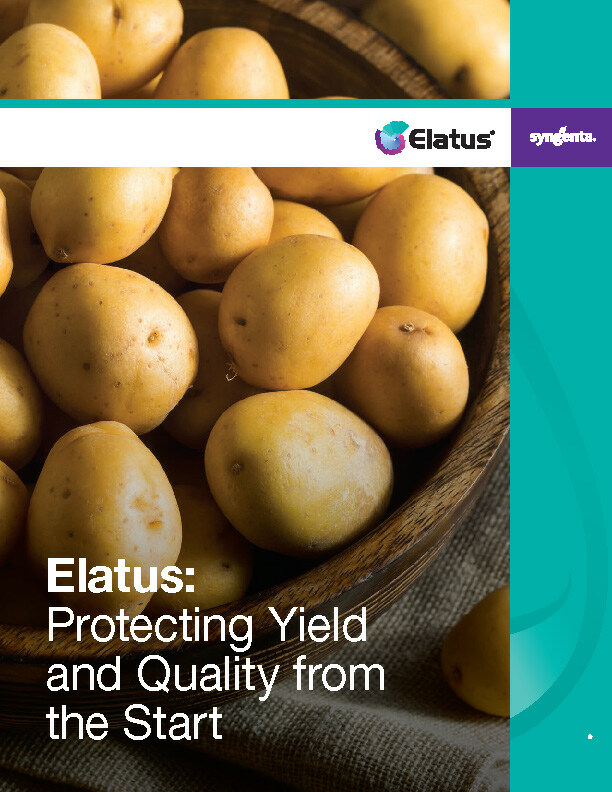 Talk to your local Syngenta retailer to find out how Elatus fungicide can fit into your disease management program. Priaxor® is a registered trademark of BASF.